Do you often find yourself hunting around your pantry looking for a specific spice or type of flour but cannot seem to find them in a mess? Well, we have a solution. It’s time to organise your pantry! Let’s look at eight various tips where you can quickly tidy your pantry. We are going to examine diverse pantry organisation ideas. Keep reading to learn how you can organise your pantry in a simple and fun way! 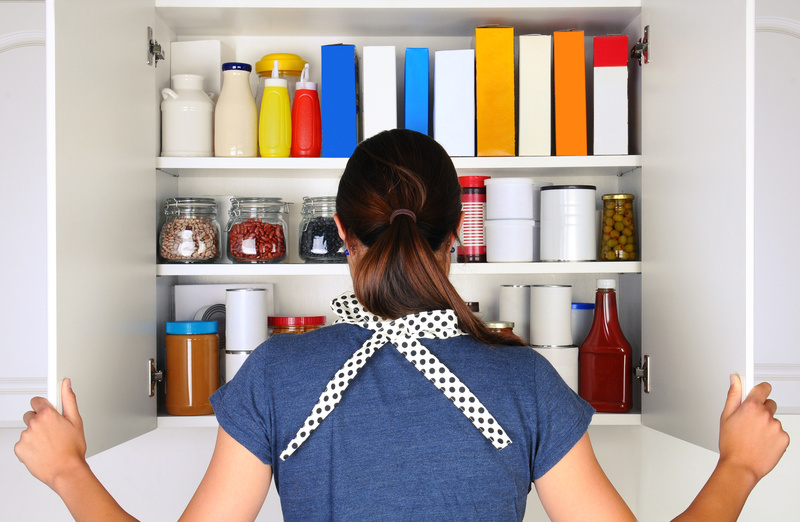 Let’s look at eight ways to declutter and organise your pantry! You know a tidy and effective way to organise your pantry is by purchasing clear containers and storing your goods inside them. This is a straightforward way to organise your pantry, so it looks tidy and neat. All you have to do is transfer food into matching jars. Things like small snacks, dried fruit, nuts, seeds, flour, and colourful cereal. This is an exciting and easy project to do on the weekend. You can buy colourful paint pens and label the glass or clear containers. Choosing clear containers looks colourful and attractive when you display these on an open shelf or countertop. They might even inspire some new recipes, too! Guests will be commenting on how neat and tidy your kitchen space is and may be inspired to do the same in their home. Installing an over-the-door storage item on your cabinet door is a great place to create more space for items that you use often. With this tip, try and choose things that aren’t too bulky because you don’t want to weight down your door. For example, choose freezer bags, aluminum foil, school snacks, spices, and cooking tools. These will fit great inside a cabinet side door. Installing a shelf inside the door on your cabinet is a great project to tackle on a weeknight or weekend. You can simply use an over-the-door storage item. A shoe rack could work fine for example. This will store some much-used items in an easy to reach place. This will free up space in your other cupboards for bulkier items. This is something that can make your pantry work more smoothly. Instead of continually jotting down notes on separate sticky notes or making notes in your cell phone, instead create a chalkboard for jotting down needed items. If you use an item up, jot it down on your chalkboard. If you are making supper and are missing an item, make a note on your chalkboard. It’s also a fun way to engage your kids. They can leave notes there or even on their birthday you could surprise them with a birthday message. It’s versatile and fun! You can free up some space in your pantry by installing some shelves on your wall with a specific purpose. Maybe you decide to fill plastic bins full of pasta and rice, then you can place them on the shelf. Do you want to make more space? Why not choose a shelf to show off your homemade preserves and jars of nut butter? If you don’t have a pantry in your kitchen, you could also find a cart and use it as a pantry solution. A cart can hold all your essentials like flour, seeds, canned goods, and baking supplies. The great thing with a cart is it is mobile and easy to move around the kitchen. If you already have a small pantry, consider moving some items you frequently use into the cart. This will allow you access to the items you use the most and free up some space in your smaller pantry. Often, when people think of a pantry, they think of a small area off to the side of the kitchen where you store food. But you don’t necessarily need this small space. You can consider purchasing a hutch where you can store dishes and food in the cupboards. This will be a wonderful space saver and chance to store food in a neat and organised manner. Pegboards are a favourite tool that professional home organisers utilise. They are an easy to reach tool that allows you to maintain a tidy and neat kitchen. Instead of jamming kitchen tools into overcrowded drawers, hang them instead. This also frees up valuable counter space that can be left as is and promotes a cleaner looking kitchen. Having less clutter will be great when it’s time to cook. Pegboards are one of those tools that are easy and affordable to install. They go with any type of decor as well! Consider installing directly onto your kitchen pantry or next to your coffee pot. Pegboards are a fun and affordable way to organise your pantry. 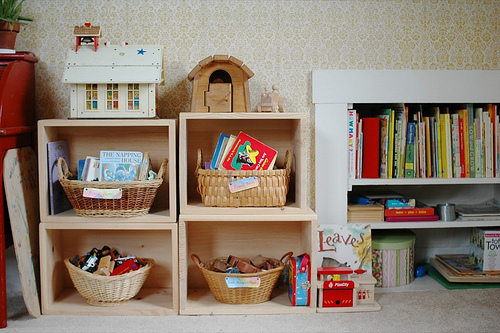 If you have a small narrow space, consider open shelving. You may not have the room for hinges and doors to be added. Instead, choose open shelves. Let’s look at some things to consider. Make sure your walls and shelves are light neutral colours. You don’t want anything too dark because it will make space feel even smaller. Try light blue, white, or grey! 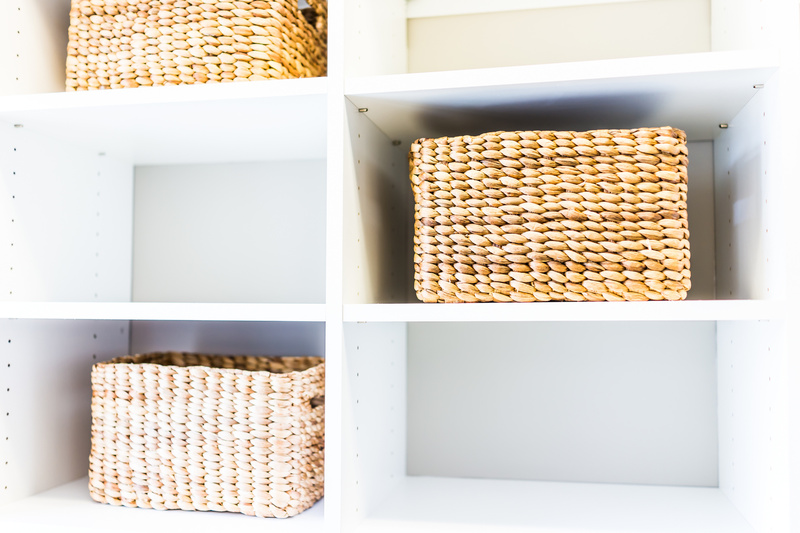 Try to choose matching baskets, bins, or jars to hold your pantry items. This will look orderly and neat. It is easy for a smaller space to get cluttered and untidy. However, this will make cooking and prepwork a nightmare. Try and keep your small space clean and tidy. Choosing open shelving will solve this issue. We hope you found this article about pantry organisation ideas helpful. We know there are many different types of homes and apartments, so we wanted to include a few diverse options. Are you interested in house cleaning? Contact us today for help in preparing for a pantry makeover. We would love to help!